Are You Aware Of Vultures? Did you know that September 5 is International Vulture Awareness Day? 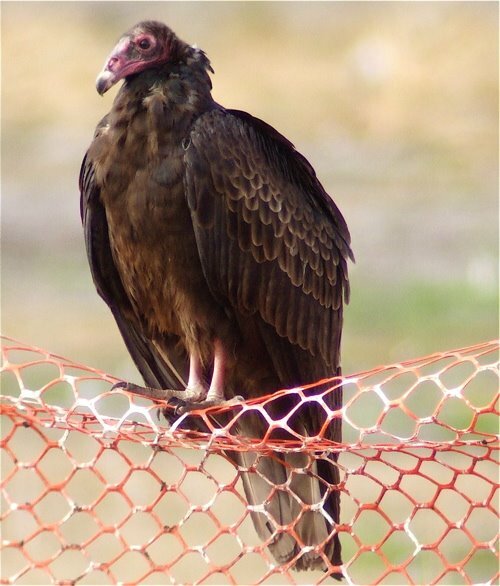 Vultures like the above turkey vulture may seem to be in good shape in the United States, but vultures in other countries face some daunting challenges that include habitat loss, poisoning, and poaching. The IVA started as Vulture Awareness Days run by the Birds of Prey Working Group in South Africa and the Hawk Conservancy Trust in England. They came together to highlight the important work being carried out by the world’s vulture conservationists. 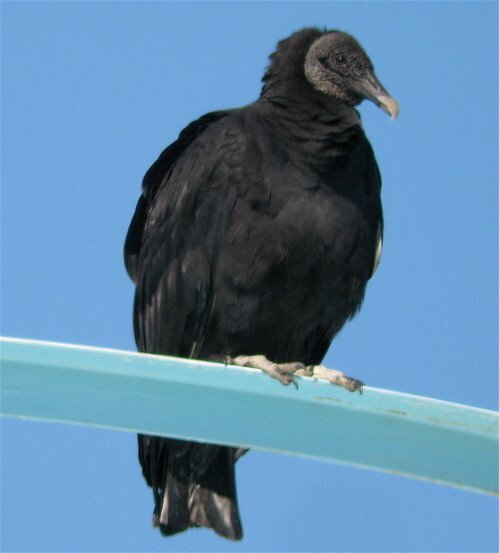 Turkey vultures and black vultures are "new world vultures" and are different than the "old world vultures" in Europe, Asia, and Africa. They may resemble old world vultures, they are not very closely related. 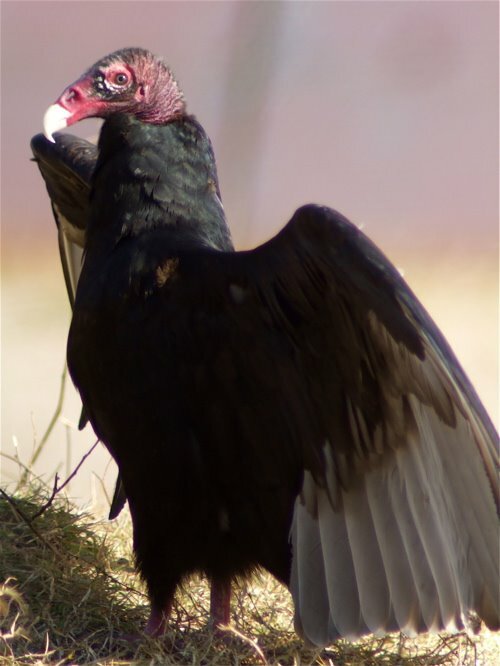 Turkey vultures have a highly developed sense of smell and studies suggest that they can smell carrion from one to five miles away. Black vultures (like the one in the photo above) follow turkey vultures to find food. When vultures are frightened or startled, they will vomit as a defense mechanism (nothing is more distracting than vulture vomit and it's a great way to drop a lot of weight and fly off faster). An anti-inflammatory drug used on farm animals in South Asia poisons vultures that feed on the dead animals with diclofenac in their system. It has caused a decline of about 95% of the vulture population in India and Pakistan. The decline in old world vultures has led to hygiene problems in India as carcasses of dead animals now tend to rot, or be eaten by rats and wild dogs leading to an increase in rabies. If you have a vulture fun fact, share it in the comments below!